At Peoria Toyota we are very excited to be sponsoring the @Special Olympics Illinois 1st Annual Polar Plunge at the Peoria Civic Center on February 16, 2019. Greg Whitten said we are putting together a team and we need to start practicing today! Unfortunately everyone laughed and David had to go at it all alone! Don’t miss future posts and information about taking part in this awesome event. David H Desmond Jr. is at it again. 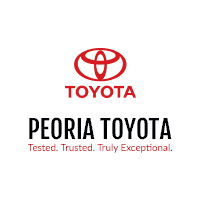 At Peoria Toyota we are very excited to be sponsoring the @Special Olympics Illinois 1st Annual Polar Plunge at the Peoria Civic Center on February 16, 2019. Greg Whitten said we are putting together a team and we need to start practicing today! Unfortunately everyone laughed and David had to go at it all alone! Don't miss future posts and information about taking part in this awesome event.